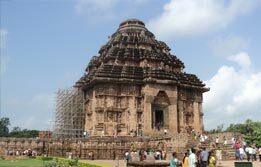 The Hidden Kingdom Tour brings the best of North-East India's bounties featuring its best kept natural and cultural heritage. Covering metropolitan Kolkata, brewing tea town of Bagdogra, Hill Station of Darjeeling and shrouded in the mystique of legends, Sikkim; this itinerary reveals the mighty splendour of the eastern Himalayas. 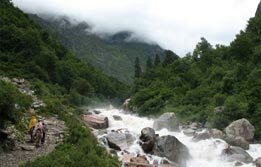 Here, one can experience the adrenaline rush through the adventures of all kinds or can even find peace and serenity tucked in the Buddhist Sikkim. In all, this trip brings the best of both the worlds together in a package. Upon arrival at Kolkata Airport, meet India Budget Tours representative for assisted transfer to the hotel for overnight stay. After breakfast, begin the tour of the city of joys, Kolkata which is the capital of West Bengal and also the gateway to the East and North East India. 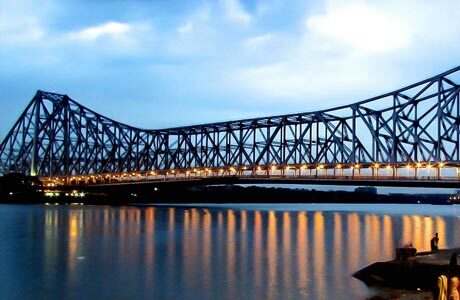 Visit the Howrah Bridge on the River Hooghly. 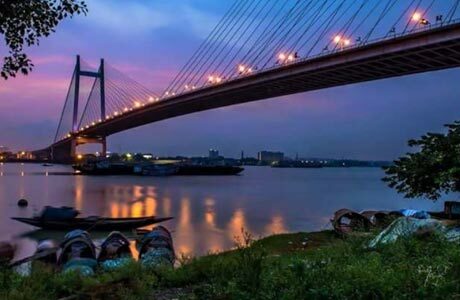 This major landmark of Kolkata is nothing but a cantilevered suspension bridge. Another famous bridge of Kolkata is the recently built Vidyasagar Setu or Second Hooghly Bridge. This is the longest cable-held bridge in India. 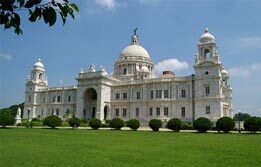 Next in the itinerary is the Victoria Memorial, a legacy of the imperial British power in Kolkata. Completed in 1921, the white marble building is a dedication to Empress Victoria in the former capital of British India. After the sightseeing is over, proceed towards the airport to board connecting flight to Bagdogra, the gateway to Darjeeling. Upon arrival at Bagdogra, proceed to Darjeeling (approx 90 km / 3 hrs. drive). 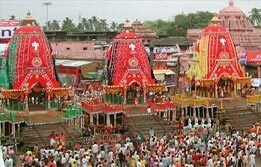 This is the bejewelled paradise of eastern India. 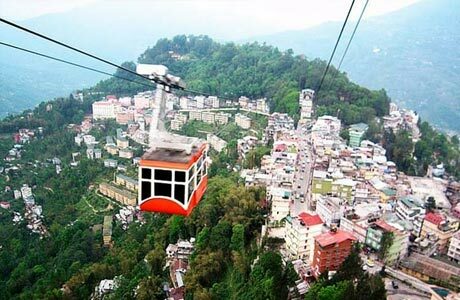 Upon arrival, transfer to the hotel in Darjeeling for overnight stay. 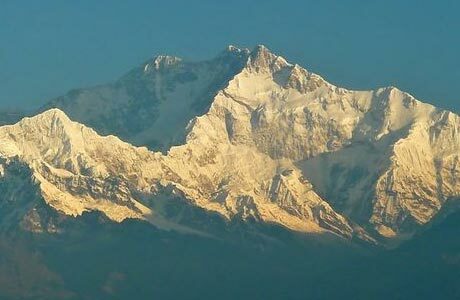 In the early morning, begin an excursion towards Tiger Hill near Darjeeling to witness the beautiful sunrise. Post lunch; begin a drive towards Gangtok 97 km away from Darjeeling. Upon arrival, check in the hotel for overnight in Gangtok. Begin the morning in a serene way with a visit to the Enchey Monastery. 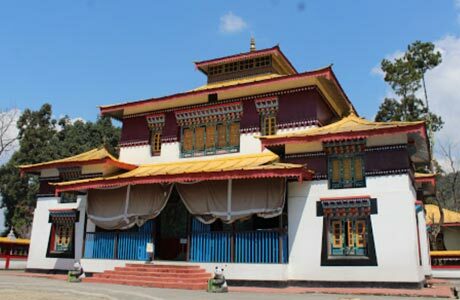 This is the 20th century monastery in the capital of Sikkim known for its large prayer halls featuring pantheon of Mahayana Buddhist deities through colourful murals and representations. Also visit Rumtek Monastery, another famous monastery of Sikkim near Gangtok. This is one of the oldest centers for Kagyupa (a Tibetan Buddhist sect). Afternoon is free to explore Gangtok's serene side on your own. Overnight in Gangtok. Drive back to Bagdogra airport to board connecting flight for Delhi or Kolkata. On arrival in airport, board the flight for onward journey.